One of Clear Sky’s many projects is the Clear Sky Farm, dedicated to innovative sustainable agriculture and permaculture. 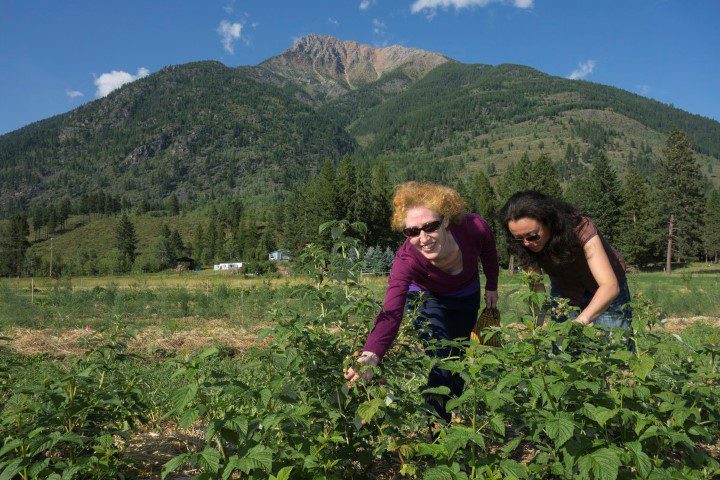 All of our produce is organically grown in our one-acre cold-climate food forest, located on-site. With mindful adherence to permaculture principles, we focus on perennial crops that are designed to become self-sustaining over time. As such, we use no chemical farm products, and minimal organic inputs are used, if any. Everything is tended and picked by loving hands. Visit www.clearskyfarm.org to learn more about Clear Sky’s food forest project and principles. If you are interested in learning about the practice of Karma Yoga by doing service on our farm and food forest, check our Karma Yoga section for more details on the Karma Yoga Program.